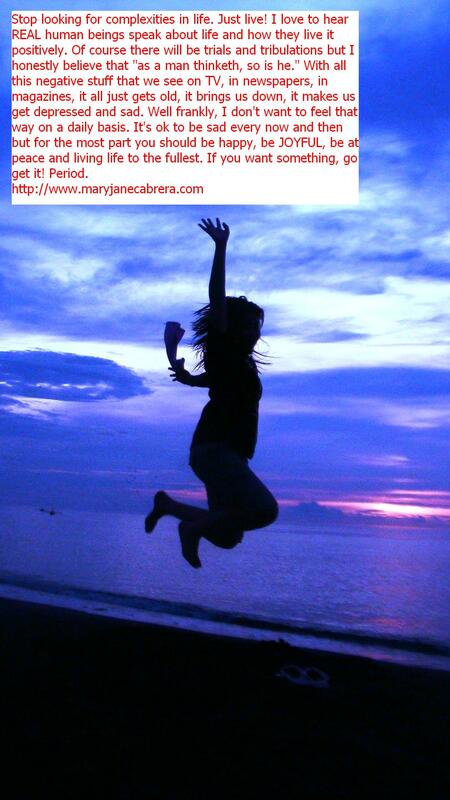 Mary Jane’s Niche started way back in 2008 as MJ Cabrera’s personal blog. When she’s not raving about “personal” random stuffs she is writing about the things that interest her like traveling, music, photography, events, food, her adventures, her hometown, her online job, etc. MJ is a very optimistic person and her blog reflects that. This blog will update you on MJ’s journey of personal growth and she hopes that you will learn lessons from her blog and be enlightened as well. MJ also hopes that through her blog posts she will encourage you to get started on your own growth journey and find balance in your life. Manifest what you want, take control of your life and see life through MJ’s optimistic eyes. Hey guys! Welcome to Mary Jane’s Niche! Obviously my name is Mary Jane and this is my personal blog. Let me tell you a little something about me first. I’m a 20-something who used to work as a telemarketer for a major BPO company here in our city (ask me where) and we called companies in the USA and Canada. I handled IT products and services. That was 4 years ago and now I have my very own homebased business and also working on putting up a small offline business as well. I am currently a freelancer/virtual assistant/writer and I work at home. Yes I work at home. I am a joyous person and I value everything and everyone so I always make time to hang out with my friends, read, sleep, watch movies, pamper and reward myself by going to the spa, traveling or heading out to the beach! 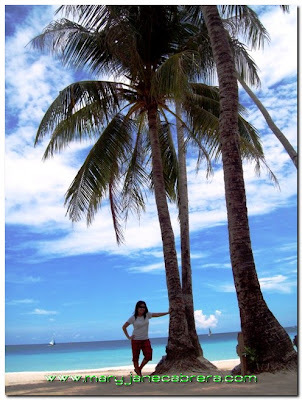 I love going to the beach – but I don’t know how to swim-yet! But I’m working on that, I will learn how to swim soon and I will make time for that! I am a very optimistic person. It doesn’t take much to make me happy but it takes a lot to get me down. I always always try my best to wear a smile, and no I’m not bonkers, I just think that when I smile and laugh I make other people happy too. Besides it’s easier to smile than frown right? And if you get the chance to read my previous posts you will know that I live by Christian D. Larson’s The Optimist Creed. This is my first and only blog so if you find some flaws or if you don’t like my rantings you can always leave a comment or go check out other blogs. But don’t worry, I don’t really rant much. As I’ve said earlier I’m also a freelance article writer so you may contact me for questions and job offers by leaving comments anywhere on my posts, by sending me an email at maryjane.cabrera[at]gmail[dot]com or by using the contact form here. The main purpose of this blog is for me to have a ‘paperless’ space to write in. And this is also my own personal space on the www where I could post my rants and photographs of my travels. Have a good time going through my posts and don’t forget to make your presence felt! I heard you went to CAP College? how is it? is it legal and recognized?Hope you can share your thoughts because I will need to make a decision soon. please feel free to email me. Thanks! I like what I read about not letting money control your life.